Josh Farberow and Scott Anderson designed this new concept together and it has proven to be an unparalleled blend of existing new and old designs. Based on the ancient Hawaiian alaia board, the Slide and Glide is also almost finless. But three elements give it directional maneuverability (which the alaia lacks): deep dual concaves, adjacent longitudinal ribs, and two very small keel fins (1 1/4″ deep by 5 1/2″ long). 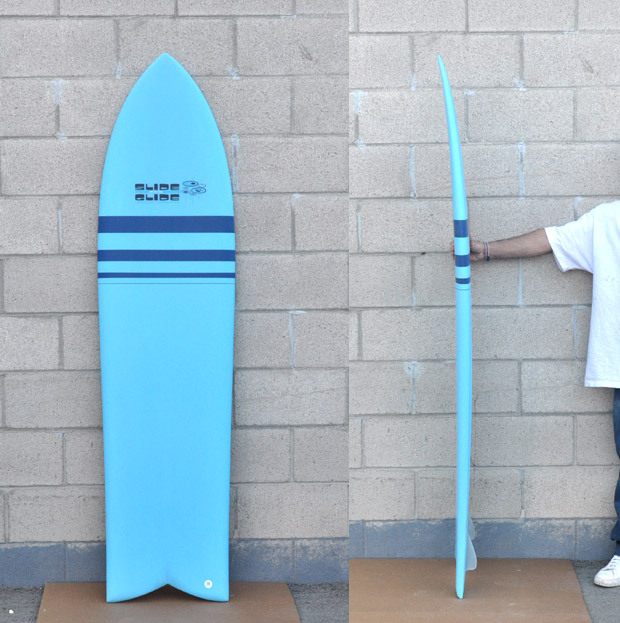 The surfboard is made from modern polyurethane foam and 4 ounce fiberglass. Ridden by an advanced to expert surfer, it will perform controlled slides, 360′s, bottom turns, and speed runs high in the face of a wave.